Fracking: are you in danger? Find out what safety hazards there are. What is fracking? Fracking is drilling a hole deep into earth and pumping high pressure fluid mostly water and sand with some chemicals mixed in too. 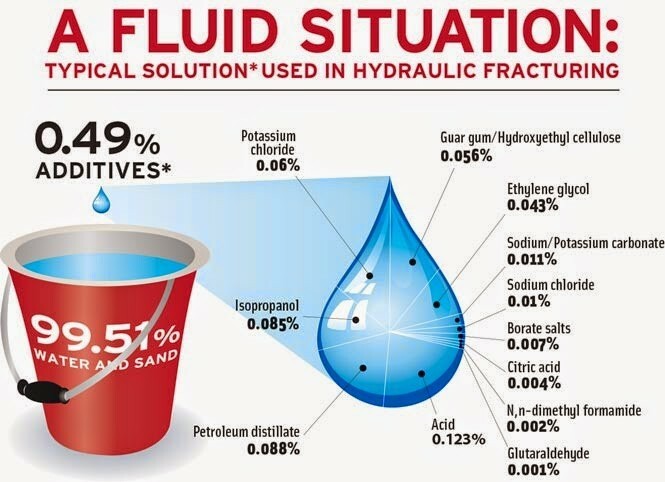 According to http://www.dangersoffracking.com there are 1-8 million gallons of water used per fracture and a single fracking sight can be fracked up to 18 times. There is approximately 40,000 gallons of chemicals are used per fracture. There are about 600 chemicals used in the fracking process some of the chemicals used are lead, uranium, mercury, hydrochloric acid and methane. 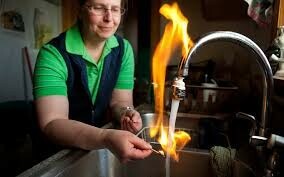 These chemicals can leak into the water table and this leads to you being able to light your faucet on fire. Not only can you light your water on fire but the pollution of a fracking sight can cause respiratory, sensory and neurological damage. In the end there are about 300,000 barrels of natural gas produced per day and enormous damage to the environment. Areas that have a lot of fracking sights include large areas of Texas, North Dakota, Pennsylvania, New York, Colorado, Nebraska, Kansas, West Virginia, Wyoming, and Louisiana. If you near a fracking sight your water could be contaminated with chemicals. There are enough chemicals that you can light your water on fire.